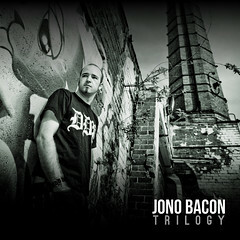 Trilogy is a collection of three acoustic rock songs I wrote for my wife, Erica, plus an additional fourth bonus song. I wrote the songs for Erica while we were dating, so at our five year anniversary I re-recorded all the songs in my new studio. I wrote, performed all the instruments, recorded, and produced the release entirely. 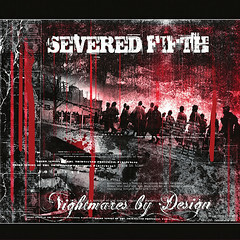 The latest album from my metal band, Severed Fifth. This was a professional studio re-recording of Nightmares By Design (see below) and many of the songs were adjusted and optimized in the writing as part of the record. The entire release was crowd-funded by Severed Fifth fans to the tune of about $5000. I performed vocals, guitars, and lead guitars, Jim Adams provided additional solos, drums by Ben Gibbs, and bass by Ron Crockett. Produced by Juan Urteaga at Trident Studies. 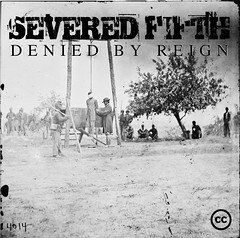 Severed Fifth took a sharp change in style from Denied By Reign (see below) to a more melodic style of metal. This release was produced as the live band was forming and was ultimately re-recorded at Trident Studios later as Liberate (see above). The first Severed Fifth album and the last album I recorded in England. I wrote and recorded this when Severed Fifth was a solo metal project, and this album is a very aggressive death-metal inspired release. 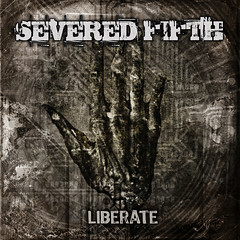 Later Severed Fifth releases changed the style to a more melodic style of metal. In 2007 I recorded the Big Red Recording to raise money for Comic Relief. I recorded and produced the entire release in a single 24 hour session. 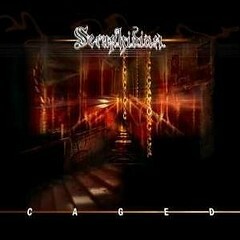 This is the first and last full-length album that Seraphidian did. I performed vocals and guitar, Steve Hadley was on guitar, Steve Bradbury on bass, and Jon Westley on drums. 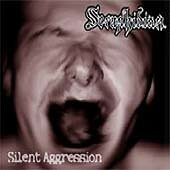 It was recorded at Magic Garden Studios in Wolverhampton and produced by Gavin Monaghan and myself. Seraphidian was a band that started out as a power metal band called Neuraxon that I formed with Paul O’Shea. When Paul moved to a different part of the UK Seraphidian was born with our guitarist Steve Hadley and we changed the style of music to heavier, groovier style. This is a collection of individual songs that I have released over the years. In all of these I wrote, performed all the instruments/vocals, recorded and produced the songs myself. Bad Voltage is a show I co-founded with Stuart Langridge that includes Bryan Lunduke (ex-Linux Action Show) and Jeremy Garcia (LinuxQuestions Podcast). The show takes a fun, loose, and interesting look at Open Source, technology, politics, music, and anything else that interests us. See the official Bad Voltage website to download the shows. Shot Of Jaq was a show that Stuart Langridge (who I also did LugRadio with) and I did that turned the format of podcasting on its head a little. We did a short 10 minute show where we discussed a topic with the goal of the conversation continuing online. We did 90 shows over the course of our run. 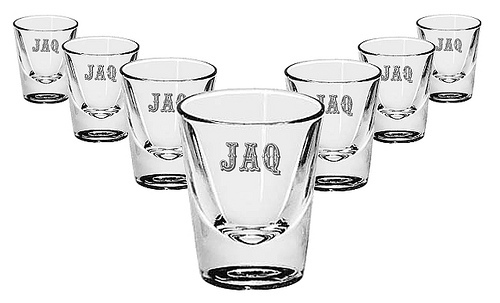 Download all of the Shot Of Jaq episodes from the official web page. 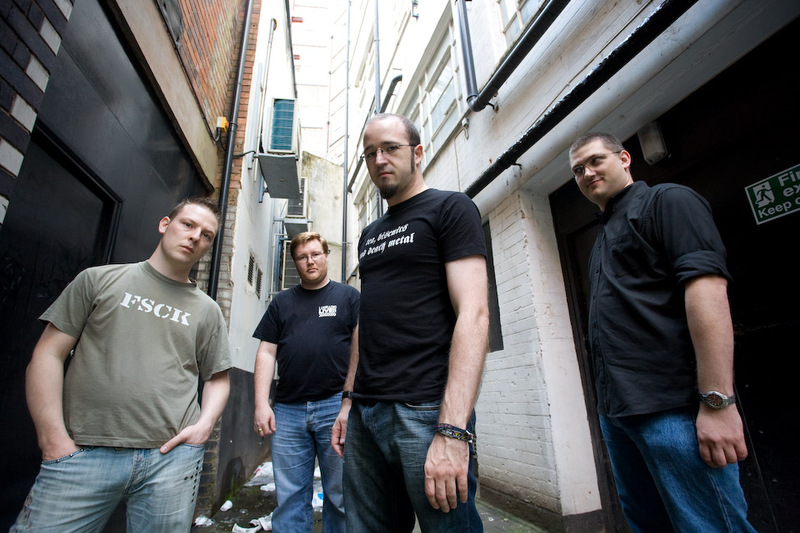 Lugradio was a podcast that I co-founded and that ran from 2004 – 2008 that took a fun, loose, and at times anarchic look at Open Source and Linux. The show developed something of a cult following throughout its run. We released over 140 shows, with five live events in the UK and USA, and 2million+ downloads of the show. You can download all of the shows from the official Lugradio website. The Art of Community is a book I wrote about how to build fun, productive, and empowering communities. I am delighted to see that the book has been popularly received, and to ensure everyone has access to the content, the book is available under a Creative Commons license.